Governor Dayton vetoed the tax bill -- twice; once when a bill was sent to him days before the end of the legislative session and again when one came to him in the final hours. Dayton had a number of issues with the bill. During the past month he positioned his opposition as lack of funding to address school budget shortfalls; suggesting the tax plan tilted heavily toward funding corporate breaks with dollars that could be provided to schools. But, Dayton’s opposition was clear from the start. While agreeing with need to make adjustments in state tax law to avoid a tax hike triggered by the 2017 federal tax law changes, he also wanted to use the opportunity to open the books on state taxes to revisit changes made last year that he opposed. Enacting a tax bill to confirm with changes to the 2017 federal tax law was a priority for this legislative session, though the House, Senate and Governor started from very different perspectives about how to proceed. Failing to act would result in a $600 million increase in taxes and a chaotic tax filing experience for individual and businesses (Star Tribune) as filers navigate the two different systems. Some think Dayton may ultimately sign a version of this bill; tapping into his strong belief in good government which may make him hesitant to dump a mess on the Department of Revenue and the Minnesota taxpayers. As part of the conformity provisions in the bill is a measure that would protect the Minnesota charitable giving tax deduction for non-itemizers. Currently eligibility to claim the deduction is based on whether a taxpayer choses the standard deduction or itemizes on federal taxes. The change proposed in the pending tax bill would link eligibility to the filing option selected on the taxpayer’s state taxes. MCF supports this change. The Senate proposed increasing the state estate tax exclusion to $5 million. But, it doesn’t seem this was an entirely serious proposal. No estate tax change was included in the House bill and the proposal was quickly dropped in conference committee. It seemed to be put out there as an easy concession to Governor Dayton who strongly opposes reducing the estate tax. 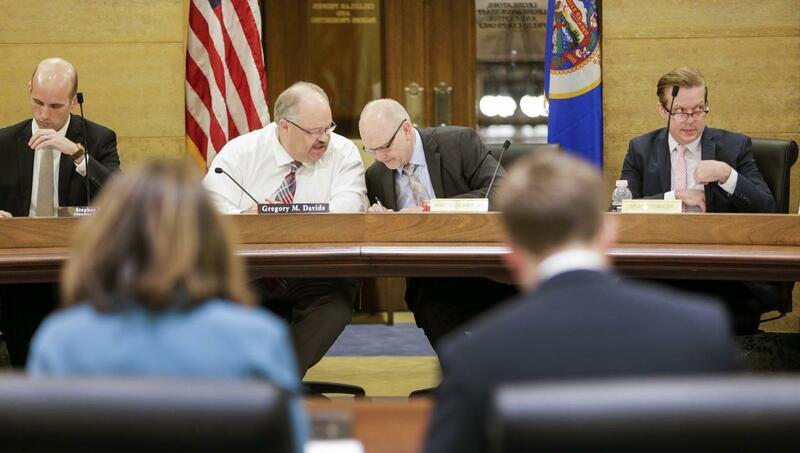 The session started with the House tax committee holding a hearing to consider the Endow MN tax credit. Opposition by Minnesota Council of Nonprofits and the Dayton Revenue Department slowed progress on the bill in the House. Senate tax committee chair Roger Chamberlin would not schedule the bill for a hearing.